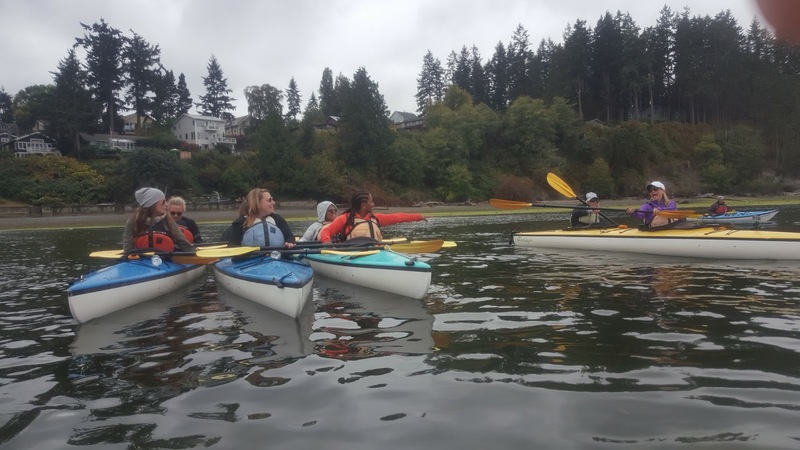 One of the highlights of our Buick Girlfriend Getaway was kayaking for the first time! We were placed in the highly capable hands of the good folks at Whidbey Island Kayaking, and after a quick instruction set free to roam the water. This was my first time kayaking and I must admit I was a bit nervous to do it. For some reason, despite being a water person, I still feel nervous when I'm sitting on top of the water and prefer exploring below the surface (y'all know I'm a certified scuba diver). Natalie and I took a few mins to get our rhythm together, but ended up choosing a Beyonce playlist to find a cadence we could both maintain. Overall, kayaking was really enjoyable and quite relaxing. We got to see some cute stuff in the water (I loved the star fish) and it counted as an actual workout. If you haven't gone yet, I'd highly recommend going with a friend. You should stay dry, but it's always best to wear something you don't mind getting wet and putting your phone in a protective case. Also keep in mind if your watch is waterproof/water resistant, as that's something folks easily forget about.